Using the PXIe-8820 RT controller in a manner not described in this user manual can impair the protection the controller provides. 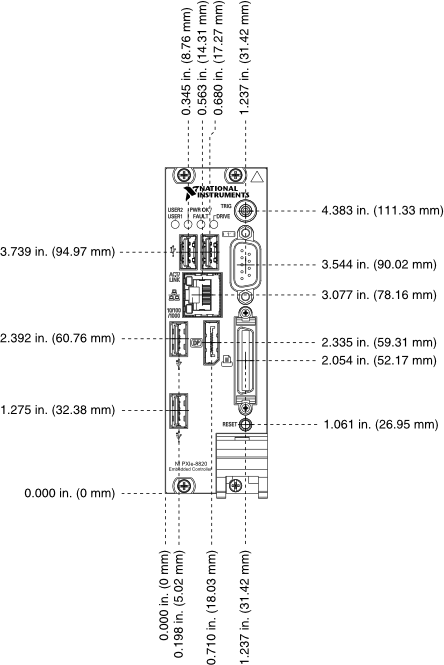 The following figure shows the front panel layout and dimensions of the PXIe-8820 RT. Dimensions are in inches (millimeters).